Even though the iPhone maker managed to win a jury verdict against its rival Samsung Electronics worth $119 M for infringing 3 of the company’s patent, Apple Inc. failed to achieve its one key objective; causing pain to its South Korean competitor. Moreover, the verdict that came on late Friday didn’t do much for derailing the momentum that’s enjoyed by the Android operating system of Google, which has managed to eclipse Apple, first with high-end alternatives for the iPhone manufactured by Samsung and now with low-cost devices being made by Chinese manufacturers. It was found by the US District Court Jury in San Jose California that some of Apple’s patents had been infringed by Samsung devices. These include features such as the slide to unlock patent of Apple that gives access to the device and quick links, which is used for dialing a phone number listed in an email. On Monday, the jury will reconvene for determining whether additional damages are required for the infringement of Cupertino, California based firm’s auto-complete patent by Samsung, a feature that gives suggestions about completing and changing a word while typing. However, the marketplace will not be affected much because of the verdict. According to people close to Samsung and legal experts, most of the products that infringe the patents aren’t sold in the market and alternative technologies will be implemented by Samsung Electronics when it launches future models. In addition, the South Korean firm will not suffer financially because of the verdict even if it is upheld after the appeals that the company will likely make. The damages that roughly amount to $119 million are only about 1% of the company’s cash pile that totals nearly $47.56 billion. This is a far cry from the previous damages worth $930 million that were awarded to Apple, which are said to be one of the biggest awards to be given in patent-litigation history and has been appealed by Samsung. In the latest case, the jury that comprised of eight men and women watered down the iPhone maker’s marketing victory, which was basically the ability of calling Samsung a ‘copier’ when it discovered that Samsung’s patent concerning organization of photos and videos in folders was infringed by Apple Inc. and awarded the South Korean tech giant damages worth $158,400. According to a patent law expert, those days are over when Apple could actually expect to get a knock out or slam dunk win in the court. 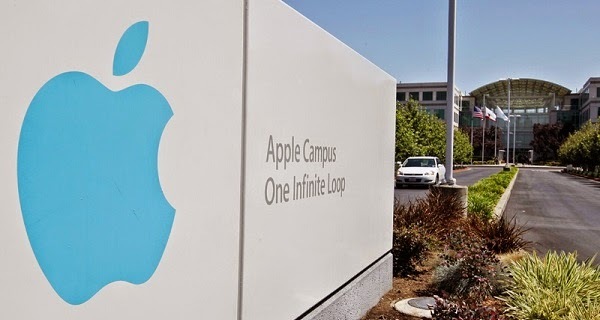 Apple spokeswoman said that the verdict showed that similar to other courts around the world, the jury had also concluded that Samsung had stolen and copied ideas of Apple. In contrast, a Samsung spokesman said that because the jury wasn’t done deliberating, it wasn’t appropriate to make any comments. The iPhone maker may attempt to seek an injunction against Samsung to stop selling the products responsible for infringement, but so far the company hasn’t had any success in such efforts that it has made previously, even after it scored a larger victory in the previous trial.